Molly Seidel rejoices after winning the Gay Head 10K with a time of 35 minutes flat. The top three finishers in Sunday’s Gay Head 10K road race were all women, a first for the five-year-old event. Not only were they the fastest, the three weren’t ready to stop at the finish line, said race volunteer Beth Treseder of Cambridge. “They just kept running. She wasn’t even out of breath,” Ms. Treseder said of Molly Seidel, the 23-year-old Watertown resident who ran the 6.2-mile course in 35 minutes flat. In 2016, only one of 142 runners did it in less. Ms. Seidel was a college runner for Notre Dame. Helen Schlachtenhaufen of Watertown finished second with a time of 37:15.15, and Paige Kouba of Cambridge finished third with a time of 38:22.93. The top finishing Islander was Ryan Sawyer of Edgartown who placed fifth with a time of 39:41.90. The elites had more miles in their legs at the finish, but most other runners were glad to rest and rehydrate after their labors. “All I wanted was to do it in under an hour, and I did in 54 minutes,” said a winded but smiling Meg Athearn of Chilmark, as her four-year-old daughter Penny clung proudly to her leg. This year’s race drew 191 registrants, including teams from on and off the Island, said Gay Head 10K co-directors Martha Vanderhoop and Beverly Wright. Members of the Martha’s Vineyard Hurricanes youth running club and the cross-country team at the high school also helped staff water stations during the race, which was timed by high school coach Joe Schroeder, Ms. Vanderhoop said. “This is the first year we’ve had timing with microchips,” she added. The Gay Head 10K raises money for the continued restoration and maintenance of the Gay Head Lighthouse, which is owned and operated by the town of Aquinnah. 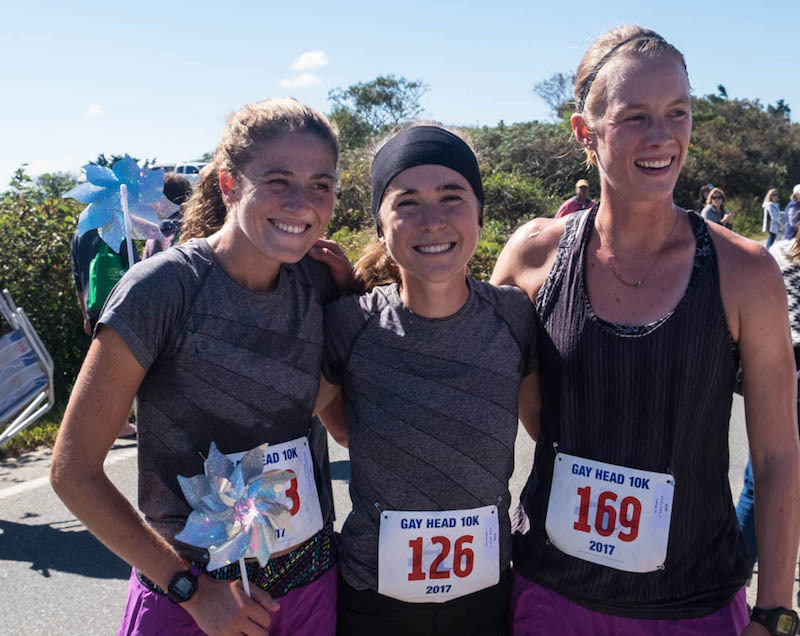 The race is organized by a committee of both seasonal and year-round Aquinnah residents, and supported by local businesses and corporate sponsors. 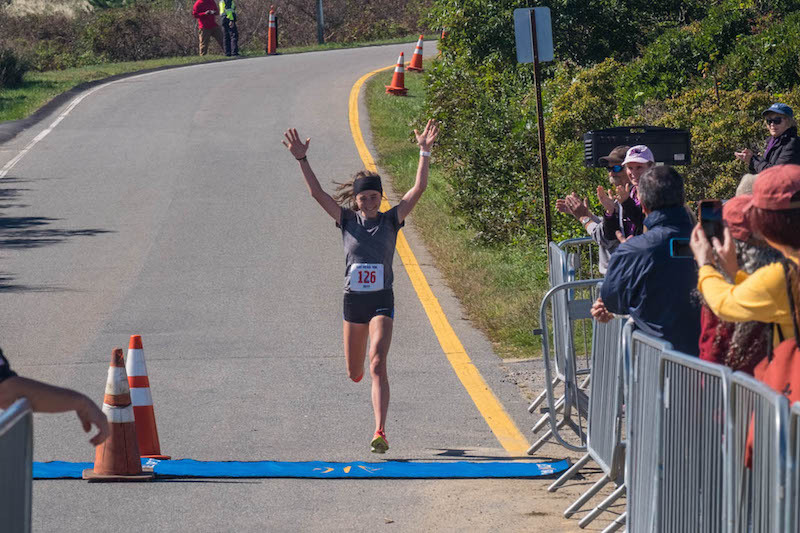 Pulling ahead of the pack: photo essay chronicles Molly Seidel's victory in Gay Head 10K. Race results are posted online at coolrunning.com. AMEN ! AY - WOMEN ! !